These sessions can be tailored to the clients wishes and ability. 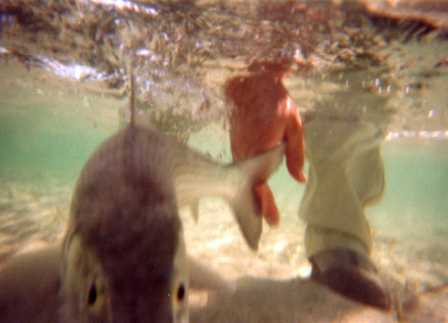 We find that many anglers, who are 'self-taught', have difficulty in improving their technique and therefore their enjoyment of the sport. Good instruction here, will be of great benefit. We can go through the basics and move on to double hauling and casting into wind, for the reservoir angler. We can improve presentation with the roll cast, wiggle cast and parachute cast for the Stillwater and river angler alike. Contact us for a discussion on your requirements and the cost which is likely to be our standard of £30 per hour or £75 for three hours. If you are spending a large sum of money on a holiday, in some 'far-off' location, a much smaller amount spent on some pre-holiday casting tuition, could be money well spent. 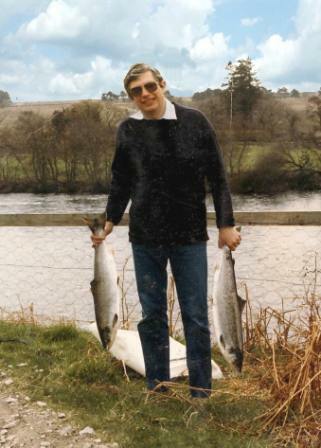 Many anglers think that in order to go salmon fishing you need to be able to Spey cast. This really is not so. 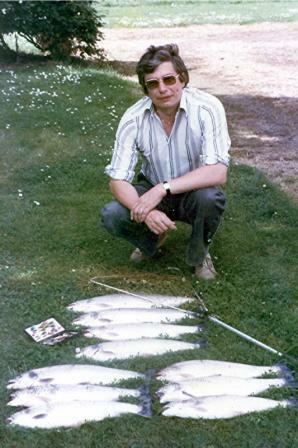 The middle photographs at the bottom of this page show the results of one night's fishing for Sea Trout on the River Deveron in the 1970's. Today of course we would return most of these fish ... and quite right too! The ability to execute a straightforward overhead cast and shoot line with a 15ft double handled rod will go a long way to enable you to enjoy your holiday. 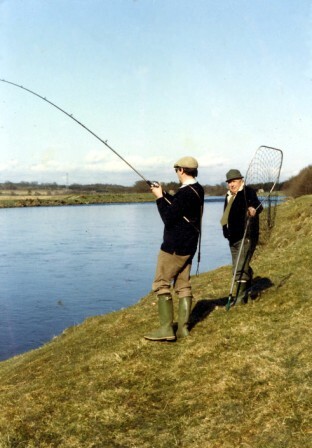 That is not to say that Spey casting is not an important part of your armoury. It is a pleasure to be able to execute these casts and we can teach you, even on Stillwater. Single Spey, Double Spey and Snake roll; if you are interested, please contact us for a discussion on your requirements. 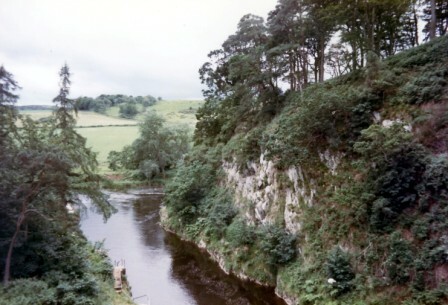 Bottom left is a photograph of a Brace of River Dee Salmon ... and the photograph mid left is the wonderful River Deveron - Montcoffer.